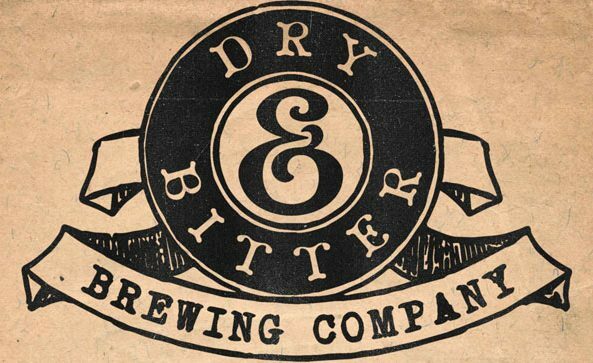 When we saw that Denmark’s Dry & Bitter now have FOUR variations of their excellent Bale Ale we couldn’t help but order them ALL and have an evening of them all pouring on keg. 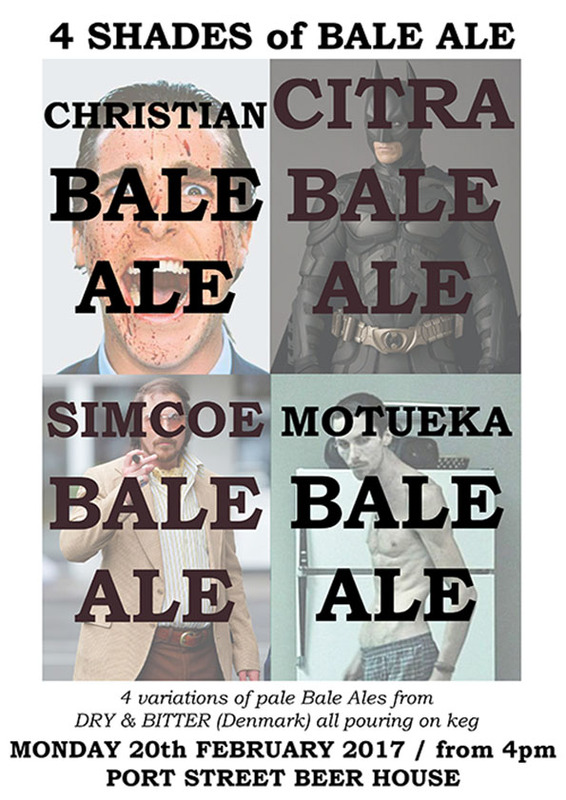 Christian Bale Ale and Citra Bale Ale have previously gone down a storm at Port Street and we welcome their return alongside the lesser tasted Simcoe and Motueka Bale Ales. 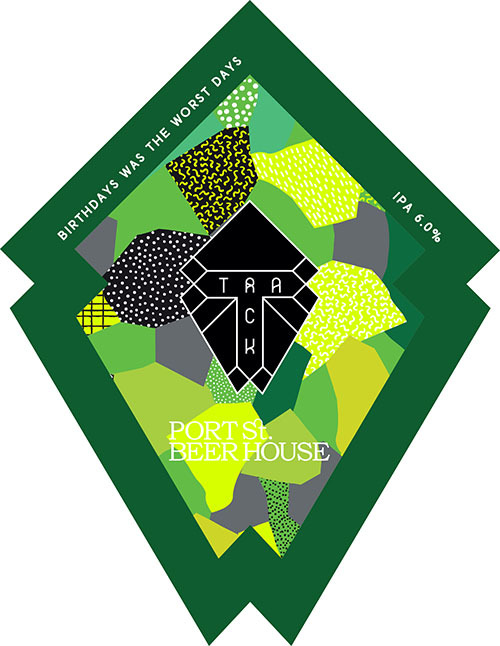 This is a must attend for fans of outstanding pales. We are six years old. Yup. Getting on a bit. 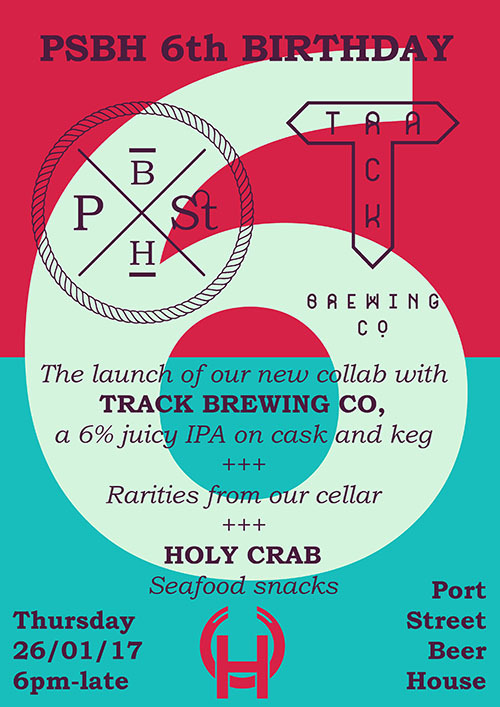 To celebrate this milestone we have brewed a beer with Track Brewing Co. A 6% juicy IPA. 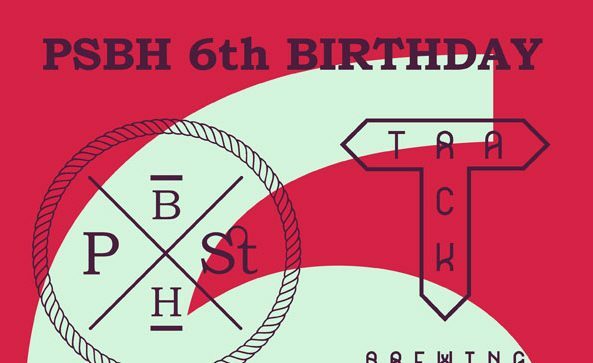 Come taste it for the first time at our 6th Birthday party on cask and keg. We think you’ll like it. 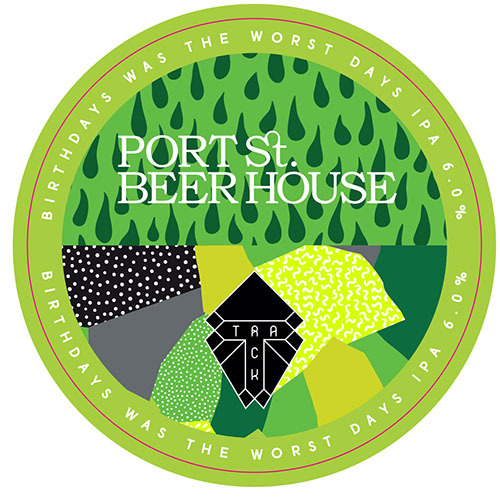 Because it’s a special day we’ll also be digging out a couple of rarities that we’ve been hanging on to from our cellar. Specifics on that coming soon. Party food on the night will come from the excellent HOLY CRAB, seafood snackers to the stars. 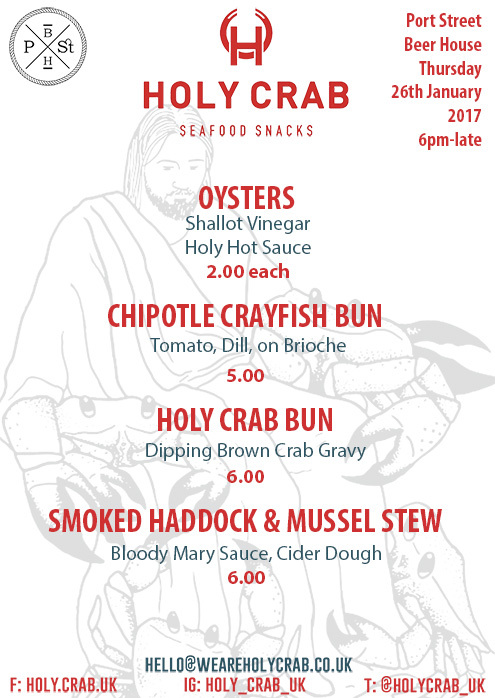 Holy Crab did a wonderful star turn in us recently dishing out delights such as crayfish sandwiches and oysters, and we cannae wait man for their return. Starts at 6 because we’re 6. Come to my Birthday or I’ll cry and run to my room. 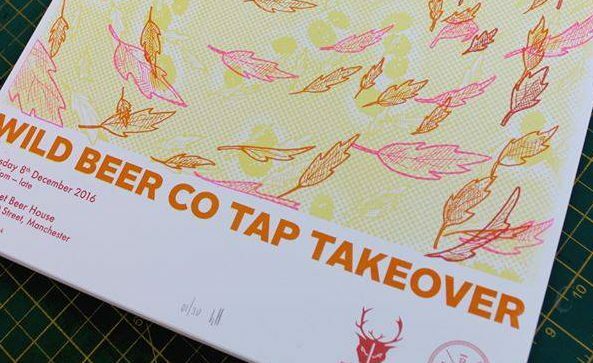 Probably our biggest tap takeover of the year falls at the feet of Bristol’s favourite sons, Wild Beer Co. Line-up and more info to follow but this is going to be big so save the date. Talking exclusive tastings with Wild Beer and a full Wild Beer spread across cask and keg. We are commemorating the event with a special poster by HimHallows. Look out for that and maybe even pick up a limited edition print. To celebrate the launch of our new Boiler Maker menu we’ve invited Compass Box Whisky up to Manchester to lay on a FREE whisky tasting of their immaculate and comprehensive dram roster. 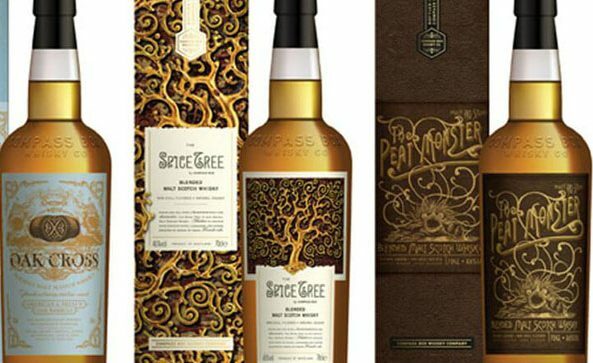 Come down on the night to taste peaty ones, smooth ones, and slow burners. Our new Boiler Maker menu carefully teams Compass Box whiskies with a host of beers. 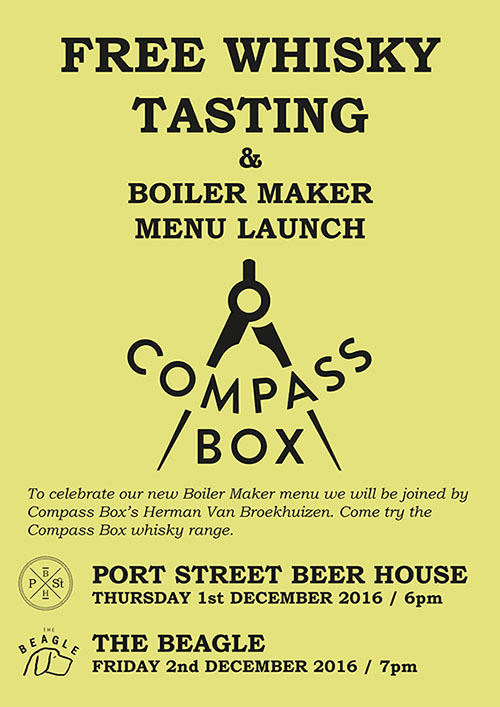 The Boiler Maker menu will be available throughout the winter months but Compass Box themselves are only down for one night only.